I had just returned from a seminar from Germany where I had presented my highly-acclaimed research-paper on ‘Indian Handicrafts’. Having recently completed my PhD in the same subject, I was getting invitations to give talks in foreign universities. But, I was back in India to attend the National Handicrafts Business-Meet scheduled at Pipili, Odisha. Pipili, a town is situated near Puri, is famous for its handicrafts. It was just before the Durga Puja and there was no seat-availability in the flights or trains. Luckily I managed to get a seat in a Volvo Bus from Kolkata to Puri. I boarded the bus in the evening. It’s an overnight journey & I would be at Pipili the next morning. It was dawn and most of the bus passengers were asleep yet I was busy working on my presentation in my Laptop as I really wanted to win this prestigious prize. The tyre couldn’t have chosen a worse time to get punctured. As I embarked from the bus and stood on the highway, I realized I would have to ask for a hitch. I remembered the scene from the Hindi-movie- Dil Hai Ke Manta Nahi in which the stars- Pooja Bhatt & Aamir Khan ask for a hitch! There were hardly any buses coming my way. 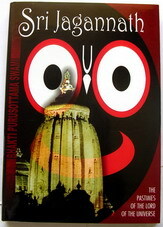 I muttered a prayer to Lord Jagannath of Puri whose famous Temple is located just a few kilometers from Pipili. I just waved my hand and a swanky private car stopped. As the driver rolled down the glass, I found a handsome young man (HYM) looking at me with a questioning look. I lost no time to take the front seat. From his personality, I guessed that HYM is not just an ordinary driver, but the owner of the car! Anyway, guys were far from my mind as I again got busy staring at my Laptop. HYM got busy chatting with me. HYM: "What is your name?" HYM: "What are your Qualifications?" HYM: "Why are you travelling to Pipili?" HYM was keen to learn so much about me, and I was giving single-word answers! But, that would be so rude as he was actually helping me reach my destination on time! I was glad when we reached Pipili and he was nice enough to leave me at the venue where the presentation was to begin. I thanked him as I rushed. I just had 15 minutes to freshen up and catch some breakfast as after that the registrations and presentations would start. I managed to be ready, that too smartly draped in an elegant Sambalpuri silk-saree! As my Mom had bought this from Odisha & had gifted me the same, I felt confident that I had her blessings with me. Soon it was my turn to present. I felt a bit nervous as the entire event was being recorded to be shown on National TV! However, I invoked Lord Jagannath again and started my presentation. I stressed that Indian handicrafts deserve and need a global platform. I also shared my experiences abroad and my vision how to make India the leading exporter of handicrafts in the world. I had left no stones unturned by sincerely sharing my research-facts that portrayed me as the best & fittest to win! From the cheers & applause, I was assured that I had done a great job! When the results were announced, I was thrilled to be declared as the Winner! The compere invited the leading industrialist - Ram Sahu, who was also one of the judges and whose company was sponsoring the prize-money, to the stage to hand over my prizes. I was surprised to find that it was HYM! He was smiling. He handed over the Trophy and cheque to me. The tyre couldn’t have chosen a better time to get punctured. This Post won the WOW Badge. Click to see Winners. 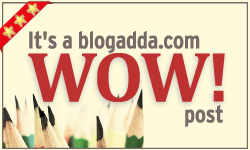 To test your Odisha knowledge do check out my Post- Odisha Quiz. For more information about Odisha visit- Odisha Tourism. So your hymn won you a HYM....:) And what a HYM?!! Nicely woven story around the prompt. Lord Jagannath sees it all. no doubt!! Indeed! The best handicraft expert!! Thanks for stopping by & reading. Glad you liked the glimpse of Odisha! Yes, I read your Post in which you have mentioned the Chilika Lake & the Lingaraj Temple. Hope you had a chance to visit Puri too... Else, next time do visit Lord Jagannath's Temple for sure. Nice to know that you have actually taught about Pipili handicrafts. 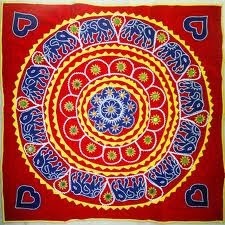 :) I believe that India's amazing handicrafts need a lot more attention & deserve better global marketing.